This Food Facts Tool shows you how many natural food can help to achieve an excellent physical condition; some of them are foods that have antioxidant properties or detoxifying harmful substances which we can include in our diet. For example, it would be ideal to eat antioxidants one hour before performing any physical exercise so that at the end of the routine the recovery will be more satisfactory. Find here the nutrition facts label for all packaged foods sold. Here you can find the nutrition facts label for all packaged foods sold. The panel give you information about the nutrients most critical in the diet: vitamins, minerals, proteins, carbohydrates, fats, sugar and many others. The nutrition facts label is generated according to the nutrition labeling standard and it’s maintained by the FDA. 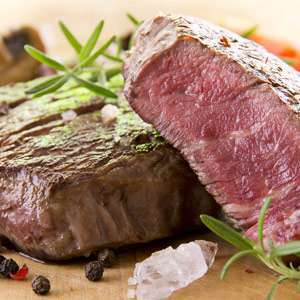 Beef products have long played an important role in people's diets. Foods like hamburgers, steaks, flank cuts, and beef roasts contain iron, folate, protein, and Vitamin B that people need for good health. 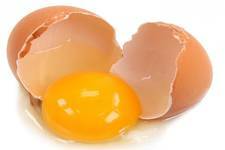 Dairy and egg products can be found in most modern diets throughout the world today. 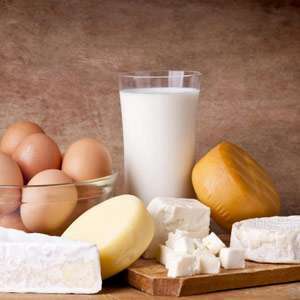 They include whole milk, butter, powdered eggs, egg yolks and whites, cheeses, and ice cream. 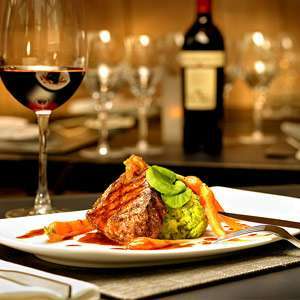 Restaurant foods are varied in both form and nutrition level. They range from steaks and lobster to hamburgers and hot dogs. Vitamins are organic substances, made by plants or animals, that our bodies need in order to maintain functions such as immunity and metabolism. Vitamins are nutrients that our organism cannot synthesize in sufficient quantities, so they must be obtained through the diet. There are two types of vitamins: Fat soluble (A, D, E and K) and water soluble (C and B). Vitamin A or Retinol is one of the building blocks of a healthy body and strong immune system. 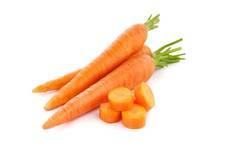 Discover here a large list of foods containing Vitamin A. 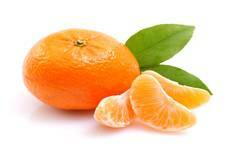 C Vitamin foods plays a key role in healing wounds and body’s development. Forms proteins that create blood vessels, skin, tendons and ligaments. D Vitamin foods (Cholecalciferol) prevents rickets and bone loss. 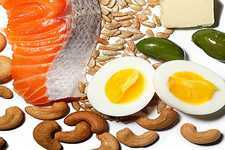 Fortunately, there are many foods that are naturally rich sources of Vitamin D.
Minerals are found in foods such as meat, cereals, fish, vegetables, fruit or fish, and are necessary for building strong bones (and teeth), controlling body fluids (inside and outside cells) and turning the food you eat into energy. Check Calcium Foods list which plays a significant role in the development and maintenance of healthy bones, skin, teeth, and fingernails. Potassium Foods helps in the function of the heart, kidneys and other vital organs. Check out a great Potassium Foods List Now. Your body needs nutrients to survive and stay healthy. 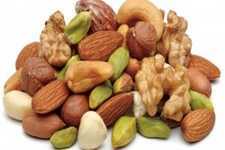 You will require not only vitamins and minerals, but also proteins, carbohydrates, fats and water. Good nutrition is an important part of leading a healthy lifestyle. You diet, combined with physical activity, can help you to reach and maintain a healthy weight, reduce your risk of chronic diseases and promote your overall health. 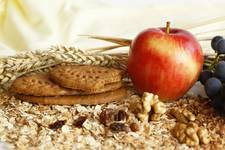 Carbohydrates provide the body with essential energy. 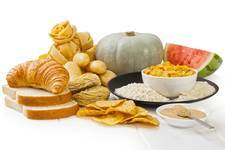 Check out our list of foods with carbohydrates in them and make your own Carb Diet Meal Plan. 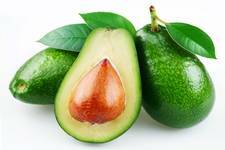 Fat foods provides energy and insulation. 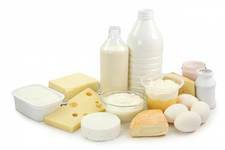 Nevertheless you must to know the fat amounts in each food and regulate your dairy intake. Check here foods with fiber in them. Remember that fiber slows digestion, stabilizes blood sugar levels and aids waste elimination.